If you’re a red blooded American reading this then you’re probably ready to get into some meat eating, bone crushing, slaying and primal stalking carnage… Which is kind of what we’re going to talk about, so let’s go with that 🙂 What we’re really going to get into is how to get some food when you’re living off the land in a survival situation with limited supplies. While the test of survival alone in these situations is demanding, adding the need to hunt and gather to stay alive takes these adventures to the next level! So what we’re going to do is find out what the experts say are the best strategies, and since the “experts” aren’t always right we will be adding commentary for the average individual that can’t whittle a 3 prong spear to be assembled with your weight release ambush trap. Let’s keep this simple practical and entertaining! To begin on the hunting adventure you will need a few more items than your bare hands, unless you have “bear” hands. So please reference the previous post on how to make weapons in the wild before continuing. You’ll want to have your home-made knife if you don’t have a legit knife with you as a close quarters weapon and last measure, also the spear from the previous post will keep you from having to get too close to a wounded animal and will allow you to keep it at a distance, which is safest for you and the animal. Also just so we’re clear, I’m not advocating the senseless killing of animals for sport, this post is to help you survive and that’s it. If you don’t have to resort to killing animals to live then that’s what you need to do. However, if you know you’re a long way away from rescue then you need to face the facts that this could be your only option for survival. If you’re a vegan I doubt you’ll find any soy products to keep you alive once you hit a protein deficit, and those bugs will only go so far. As always OffGridSurvival.com has some quality information to share on this subject! And clearly this is the most efficient way to get things done when it comes to catching a meal. When you’re in a survival situation you want to conserve as much energy as possible. While it might make for a great story to tell your friends that you had to track a deer through the woods for 3 days and nights until you had the opportunity to jump out of a tree, land on it’s back and finish it with a manly cry… That’s just not very practical, it’s cool, not practical. So your best bet is to set up a few traps and snares on paths that you can tell are well used by smaller game, such as rabbits, squirrels, mice and other varmints. Depending on what you have with you you will be able to make a variety of useful traps that are indistinguishable to smaller animals. Should you have a good amount of sturdy string/chord then you can make a loop trap to humanely catch the smaller game on it’s trails and dispatch it when you find it. If string or chord is not in your arsenol then you will want to make the cartoon like deadfall trap, which is the one that drops a large weight on the passerby when the trigger is released and the weight falls on the future meal. Constructing one of these can be a task for a first timer, so hopefully you have a bit of string or can improvise 😉 (if not then just reference offgridsurvivals post). Now knowing where and how to set these traps up is a whole different subject, so buckle in and let’s get into this! When placing your first trap you don’t want to set it up in the middle of an open field and hope that an animal will stray from it’s routine to find your trap. The phrase “creature of habit” is about as literal as it gets. Don’t rely on the animals to deviate from the routines that have kept them alive for years just to inspect the bit of bait you put out of the way from their normal business. Instead look for signs of activity in the form of noticeably worn trails from the little critters, which will generally be found on the way to water sources or food sources such as berry bushes or other edible plants. Once you’ve found clear signs of traffic in a general area you’ll set up your trap in a natural choke point, which is where the trail might funnel into a narrow pass that forces the passerby to take this one route. This choke point method is ideal for the string trap. To set up the string trap you’ll need to set up an anchor to tie your chord to to ensure the critter doesn’t just run off with your chord. Once you have it fastened to a solid anchor like a rock you’ll make a simple self tightening loop so that when the critter walks through it will tighten on it and not let it go. When setting up this trap you want to make as little change to the environment as possible, because if the animals can sense that something is off about this trail that they’ve gone down for years then it’s likely they’ll stop using this trail all together. So just keep that in mind before storming through the trail. With that being said I’m sure that you can assume that a dead fall trap would be hard to construct stealthily in a choke point area, so if it’s an option find a wooded area with some brush and set it up there. If a wooded area isn’t an option and there’s no string then it’s time to find a rocky spot and a few twigs! Setting up the deadfall trap is a little more tricky than setting up a simple string trap. 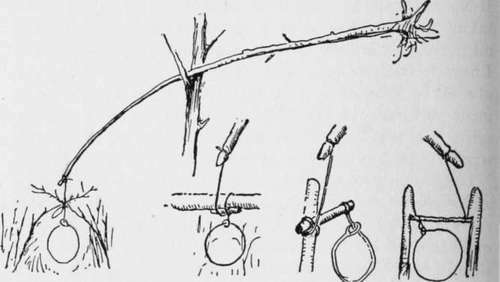 The way a dead fall trap works is that a heavy object is suspended on a trigger, that when tripped will release the heavy object and humanely end the future meal. Now setting up the trigger will be the hardest part and will probably take some practice at home to perfect and make sure it won’t take an animal having to jump on it to set it off. Carve a flat screwdriver point on one stick; this will become the vertical post. Carve another screwdriver point on one end of a stick and a notch near the opposite end; this will be the diagonal stick. Carve a notch at one end of the third stick, and carve a point for bait. Lay out the sticks so they look like the number 4, the line up the vertical post and cut a notch on the horizontal bait stick so it catches the carved square edge on the post. Put the three sticks together so the notches catch each other and hold up the deadfall weight. This is the most basic way to get the food to help you survive when embarking to survive in the wild. The skill of foraging has been passed down through the ages as the primary way to go about finding edible carbs to keep you going. Once you realize that food is literally all around you and it’s basically impossible to go hungry. 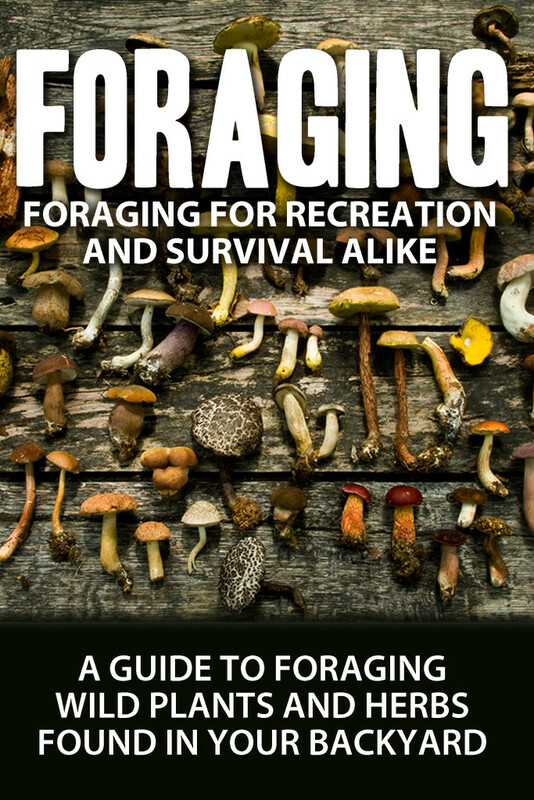 If you want to do a simple search to find a beginners resource we recommend starting with Foraging: For Recreation & Survival, which is a book that gives pictures and examples of edible foods in different environments. You can also do a simple google search which will most likely lead you to Healthstartsinthekitchen.com, and they have some INCREDIBLE information on modern foraging techniques for certain climates as well. There’s not much that can be explained through this post to guide you on how to be an expert forager (that will be a different post all together). But we can go over the basics to make sure you can have a handle on what it takes at a grass roots level to get some food out of the wild. When it comes to searching out food in the wild the main concern you need is to know what to avoid rather than what to look for. Nature is tricky in that when animals are brightly colored, like poisonous frogs or snakes, you will want to avoid them due to the dangerous characteristics. With foraging for fruit you will want to look for color and the things you’ll be looking for for the dangerous qualities are more subtle and not as noticeable. 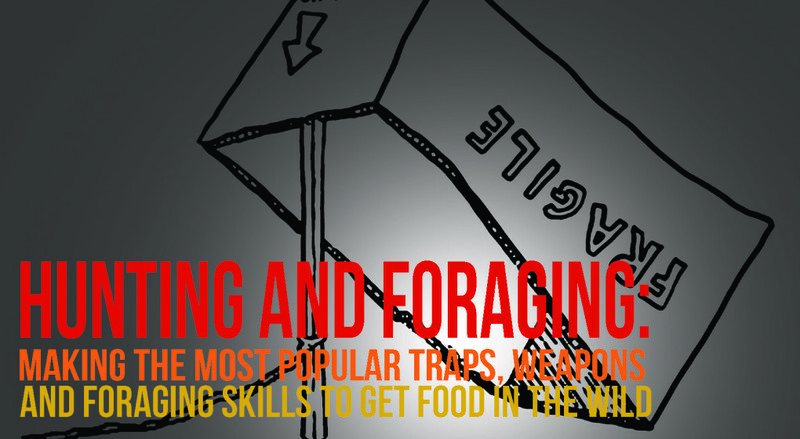 In conclusion this post has taken you through what it’s going to take to get food effectively in the wild, and ensure that you’ll never be without something to eat when in a survival situation. We would love to hear from you if this is something that was helpful to you. We know that this is a necessary part of surviving in the wild, but more importantly we want to know if this is something that you want to learn about. And if it is or isn’t please leave a comment to let us know how we can improve what we’re doing to fit your needs. Also any suggestions of experts who could offer valuable information would be welcome!